Celebrating the fragrance’s 12th birthday, the Parisian luxury goods and fragrance house, Hermès has launched a limited-edition H bottle of Terre d’Hermès. The English illustrator and designer Liubov Edwards was chosen to illustrate this new edition through a competition launched on the design boom creative platform. Its geometric lines stood out among the 636 designs – involving over 2500 artists from more than 75 countries – that were entered in the digital contest. And as for the fragrance. I always think fragrance for men is a funny one. It can go so catastrophically wrong. Essentially, they say it must whisper, not shout. Shouting is just headachey. The right aftershave will work with the pH of your skin and your body temperature to just… accessorise your natural smell. But if you want shouty-look-at-me you only need to go to the man of mass produced, Tom Ford. It should be said, Terre d’Hermès has a simple, uncluttered composition. The fragrance is described as a “vegetable and mineral” fragrance, made without any use of animal by-products or musks. Balancing the rooty lines of cedar, benzoin and patchouli with other frequent notes of grapefruit, vetiver and pepper. The bottle hosts a perfect combination of notes that stay with you from start to finish. 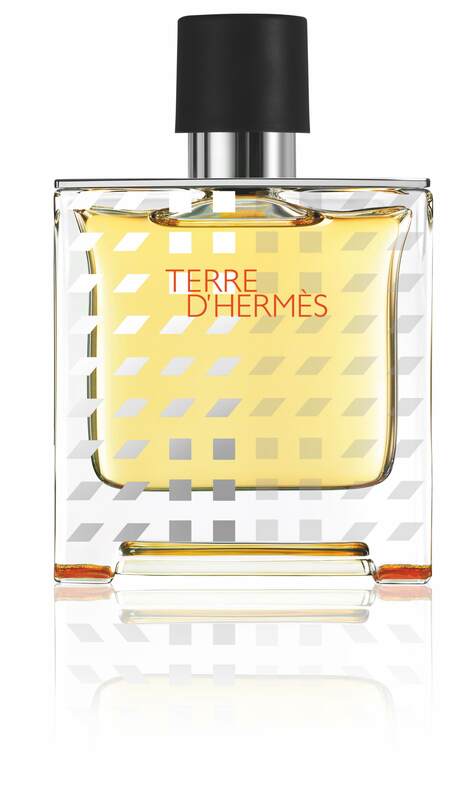 Terre d’Hermès is how every modern man should smell. This entry was posted in Beauty & Grooming and tagged hermes, Liubov Edwards. Bookmark the permalink.